Andy Warhol was a relentless chronicler of life and its encounters. Carrying a Polaroid camera from the late 1950s until his death in 1987, he amassed a huge collection of instant pictures of friends, lovers, patrons, the famous, the obscure, the scenic, the fashionable, and himself. 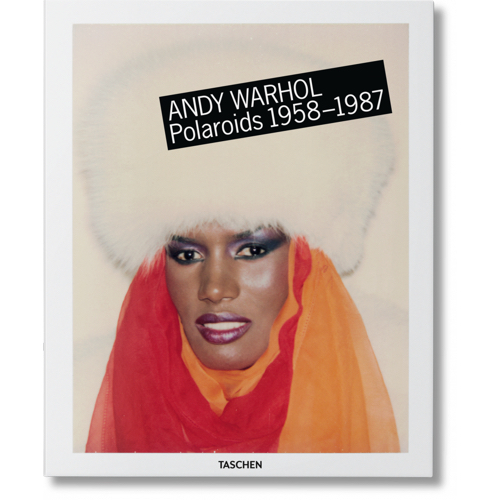 Created in collaboration with the Andy Warhol Foundation, this book features hundreds of these instant photos, many of them never seen before. Portraits of celebrities such as Mick Jagger, Alfred Hitchcock, Jack Nicholson, Yves Saint Laurent, Pelé, Debbie Harry are included alongside images of Warhol’s entourage and high life, landscapes, and still lifes from Cabbage Patch dolls to the iconic soup cans. Often raw and impromptu, the Polaroids document Warhol’s era like Instagram captures our own, offering a unique record of the life, world, and vision behind the pop art maestro and modernist giant.